A while ago a friend suggested that I try painting roosters or chickens. I gave it a try, but really, it was harder than I thought. 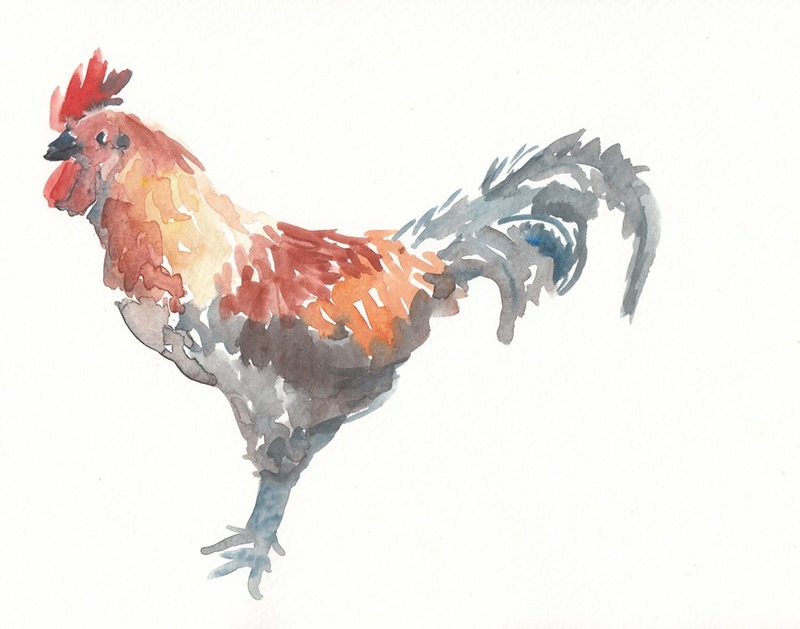 I have the process down for painting flowers, but roosters are a whole other story. 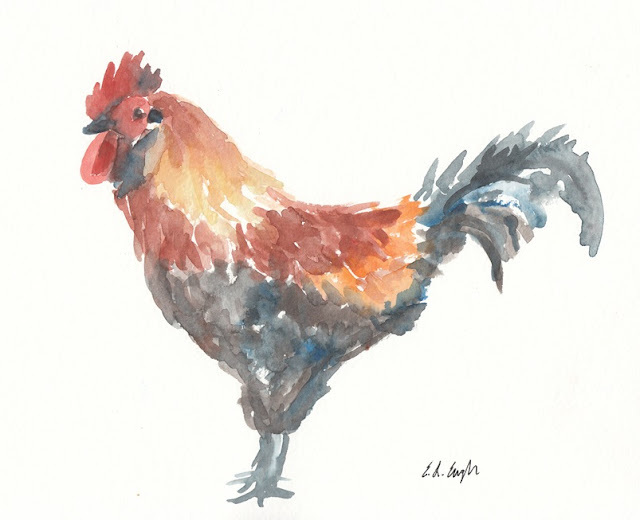 So, here are a few of my experiments with roosters. I can't say that I particularly love any of these, but would love your input. Which one do you like the best? Oh Elise!!! I LOVE these! I LOVE roosters! They are all over my kitchen!! The top one is my favorite, but I do like them all. 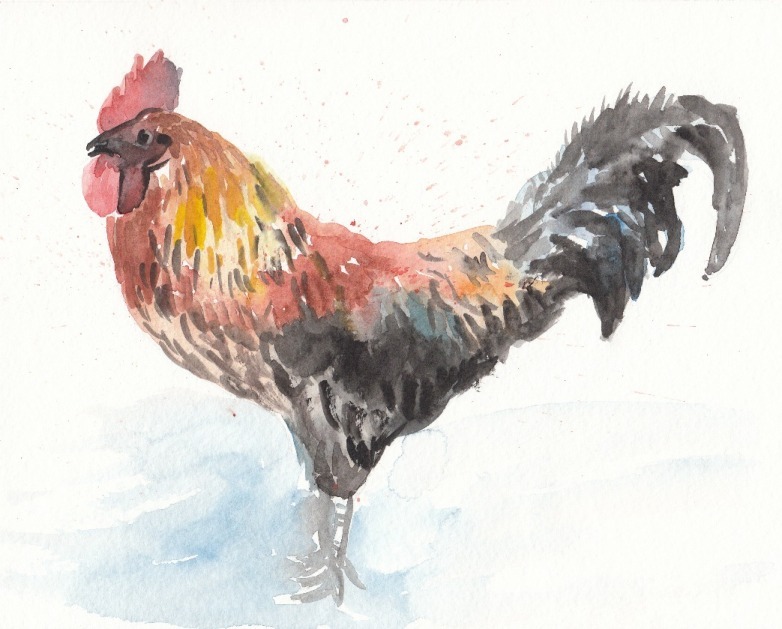 You are amazing with watercolor!! You are very talented! I like the rooster on the bottom the best. He seems like his colors are blended well, but I like the background / touch of blue in the top picture.